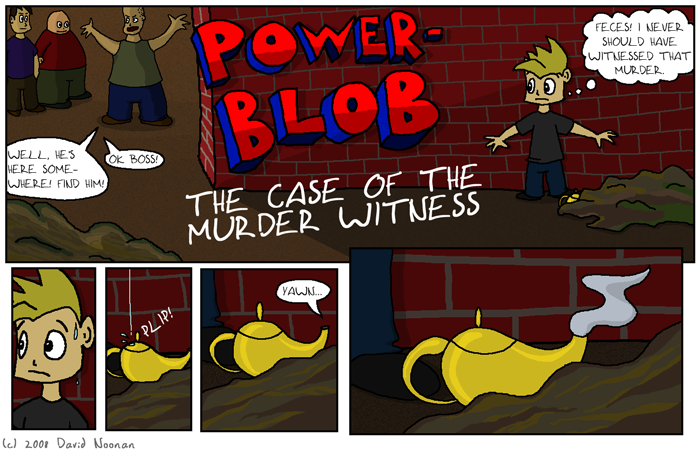 Welcome to Powerblob, my new comic project after updating Whence and Whither weekly for more than three years. I'm a little excited, because I think Powerblob is probably going to be a better comic. Time will tell. I'll flesh out the site a little more over the course of the coming weeks. That's not a threat. It's a PROMISE!